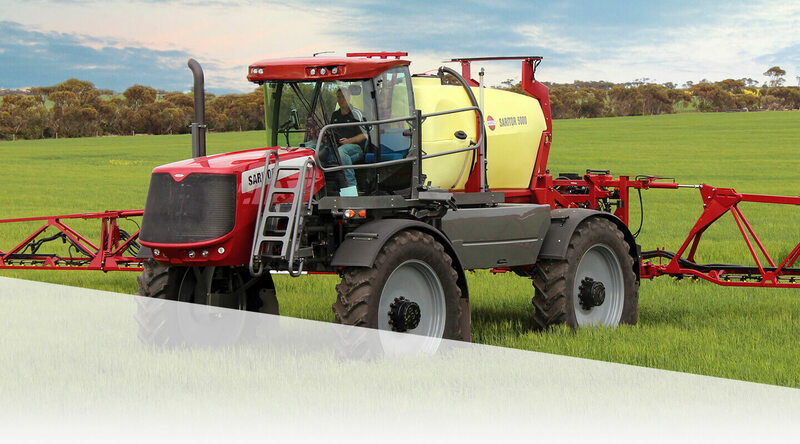 Built strong utilising heavy-duty threedimensional truss construction for high performance and is available in sizes 36, 38, 40 and 42 m.
The TERRA FORCE truss boom design is able to withstand incredible yaw forces created during cornering, accelerating, braking and auto steering. 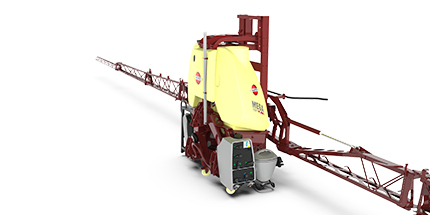 These forces are absorbed through a hydraulically dampened parallelogram suspension system. 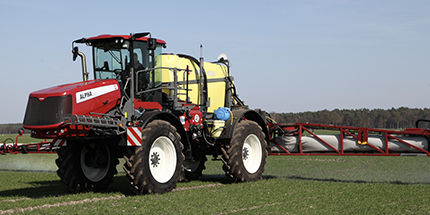 With on-the-go stability control the dynamic boom centre can be set from the cab to suit the operating condition. 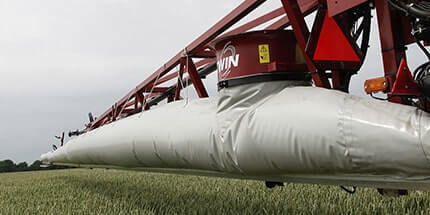 When the boom is open, the wing locks provide a positive locking mechanism ensuring the wing performs as one. 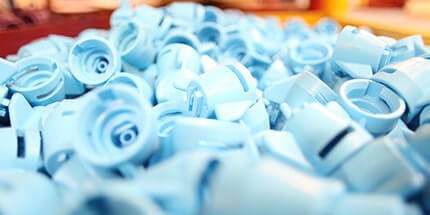 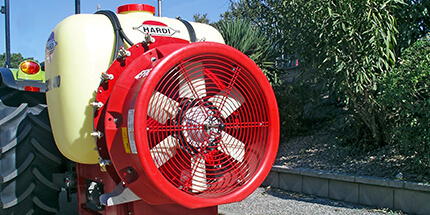 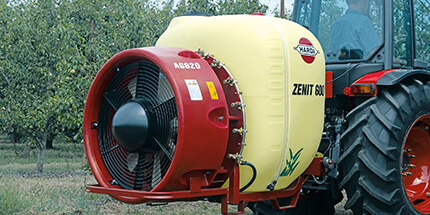 The TERRA FORCE boom is designed to reduce turbulence over and around the nozzle. 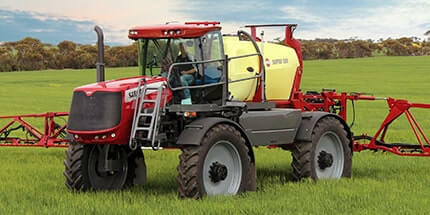 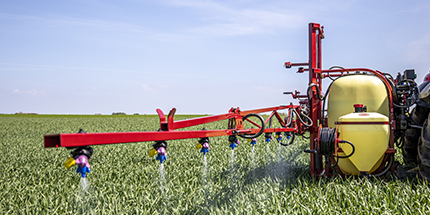 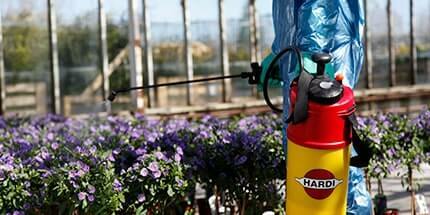 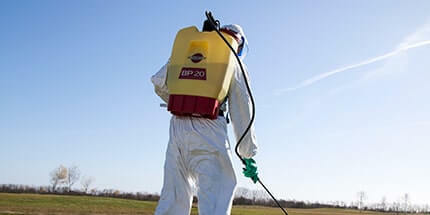 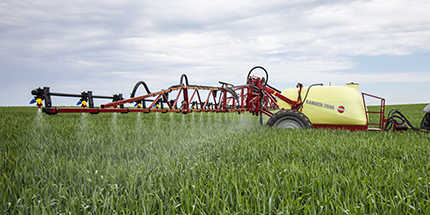 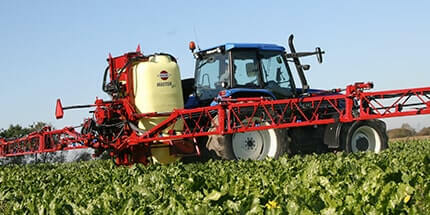 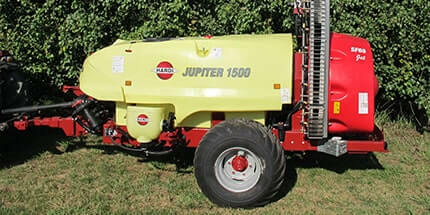 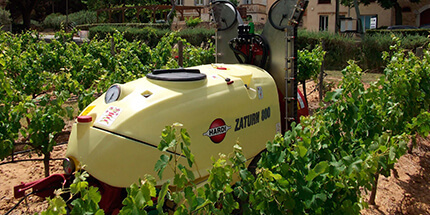 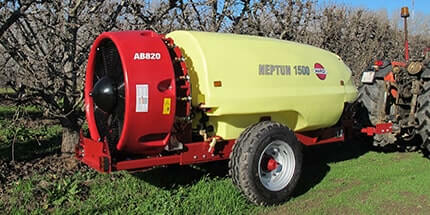 Optional BoomPrime allows the boom to be primed with chemical before spraying is started or flushed. 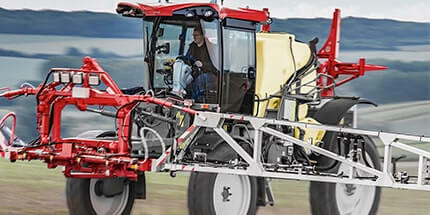 TERRA FORCE with optional AutoTerrain sets new standards in wide boom performance. 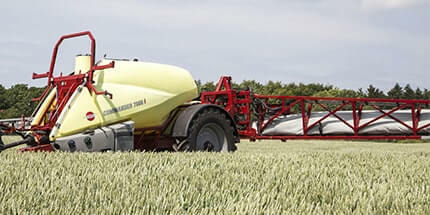 AutoTerrain maintains a lower boom height and provides better drift control. 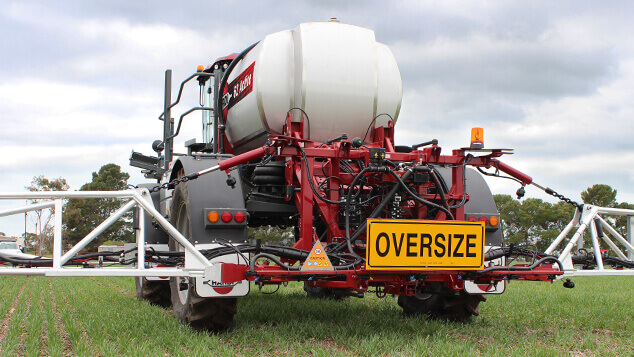 AutoTerrain maintains the set boom height following the ground like a magnet regardless of the terrain it travels across. 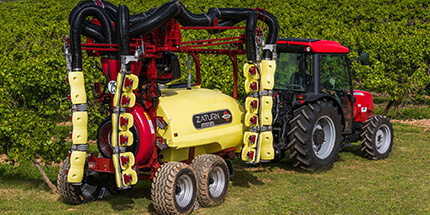 AutoTerrain is a pre-emptive stability and auto height control system that deals with the cause of boom movement. 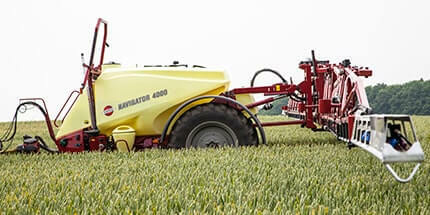 AutoTerrain simultaneously corrects the boom position relative to the ground contour by angling it through the centre pendulum.